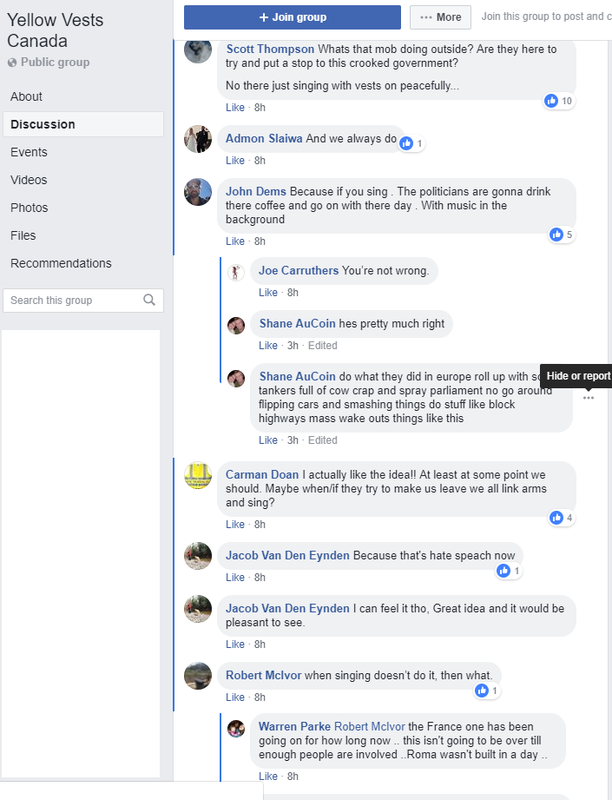 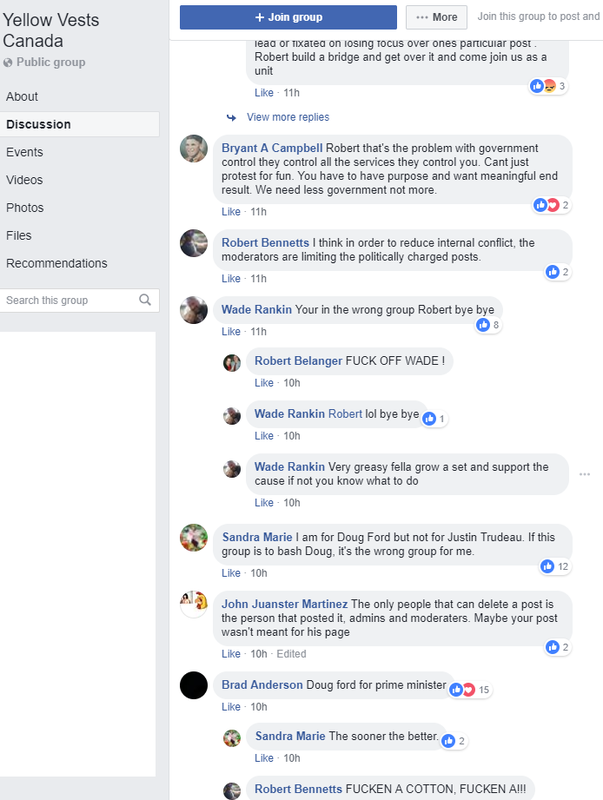 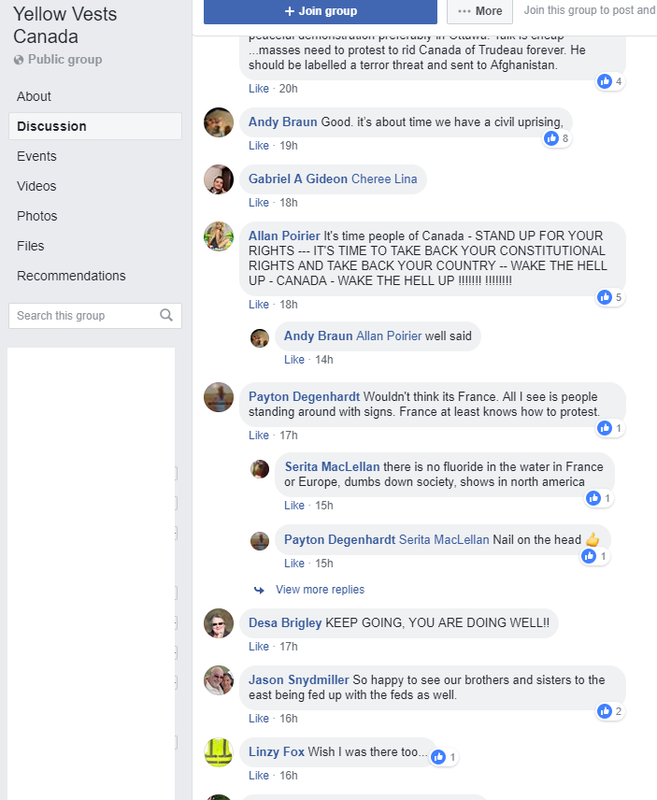 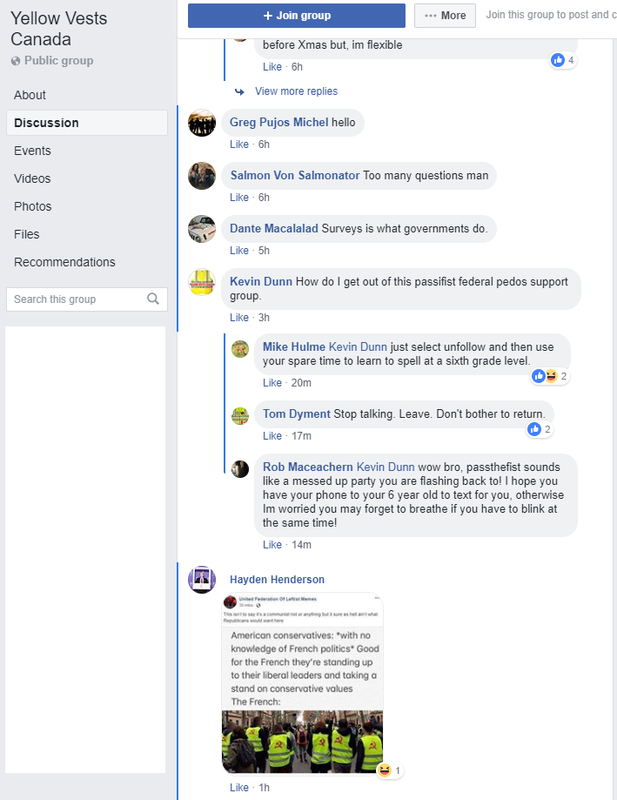 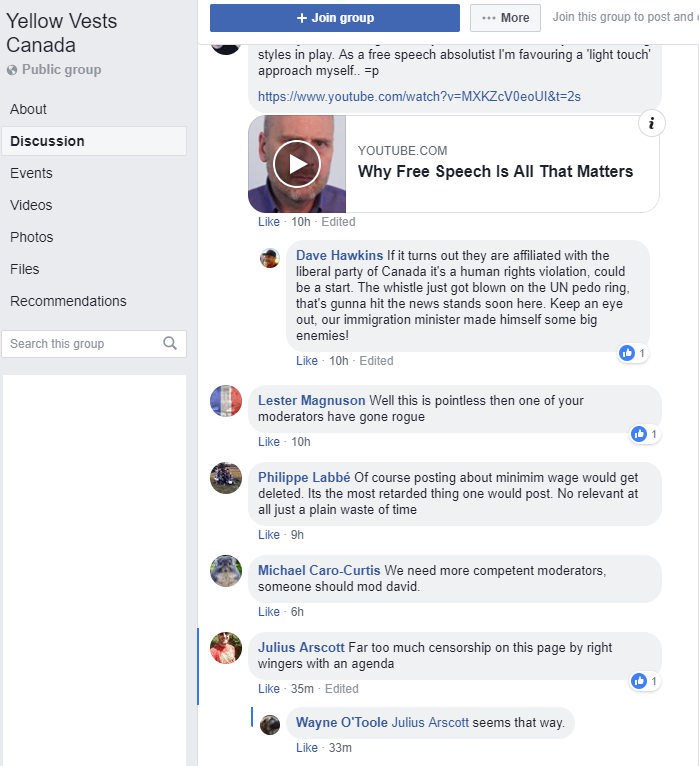 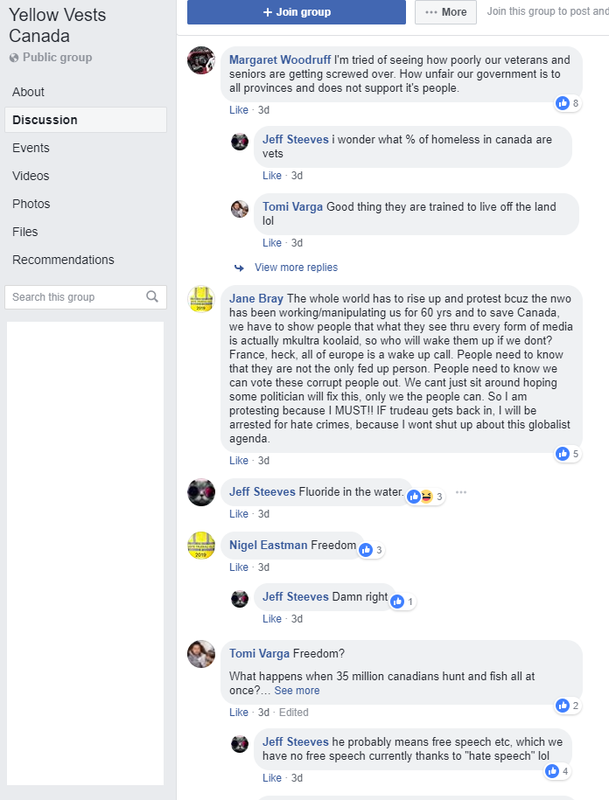 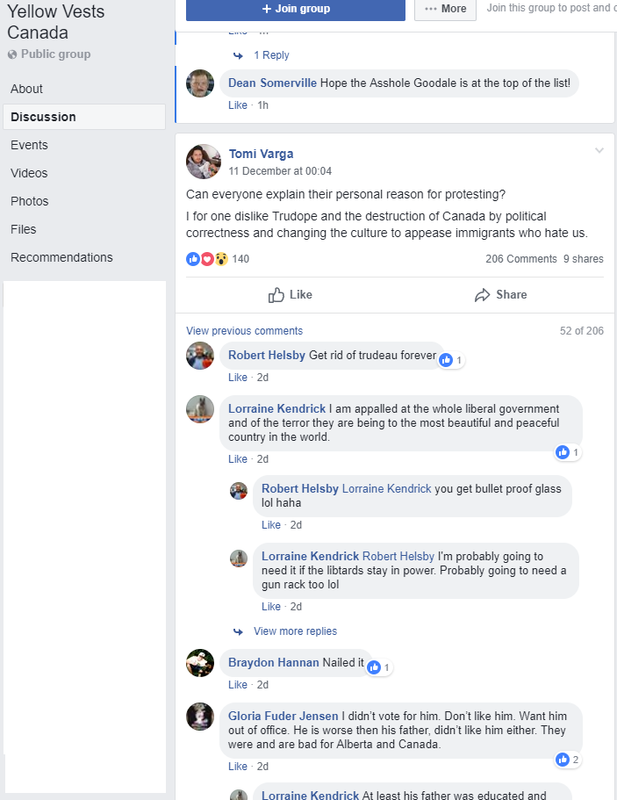 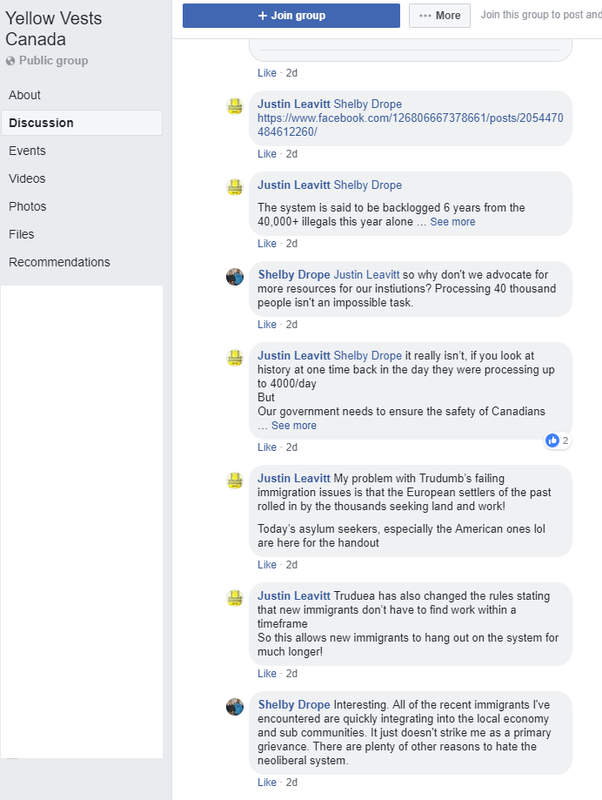 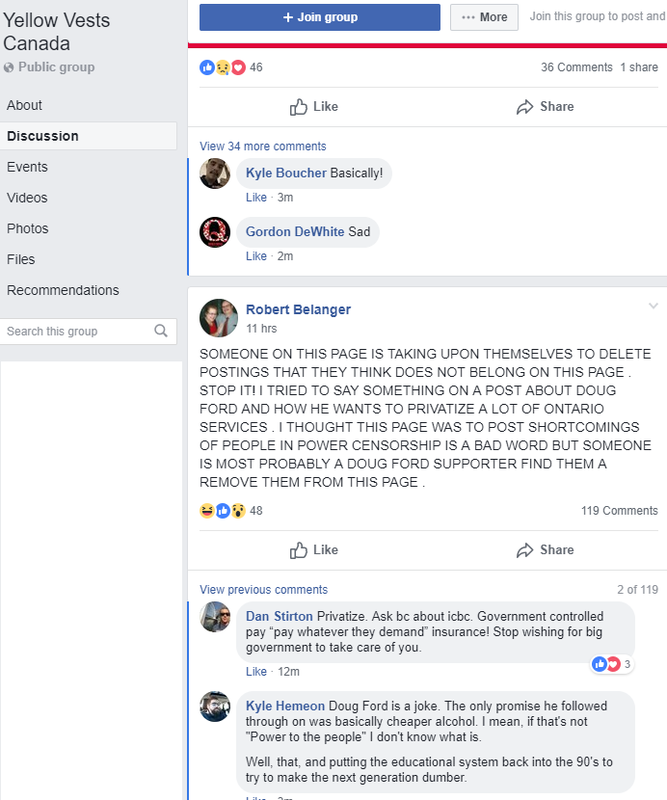 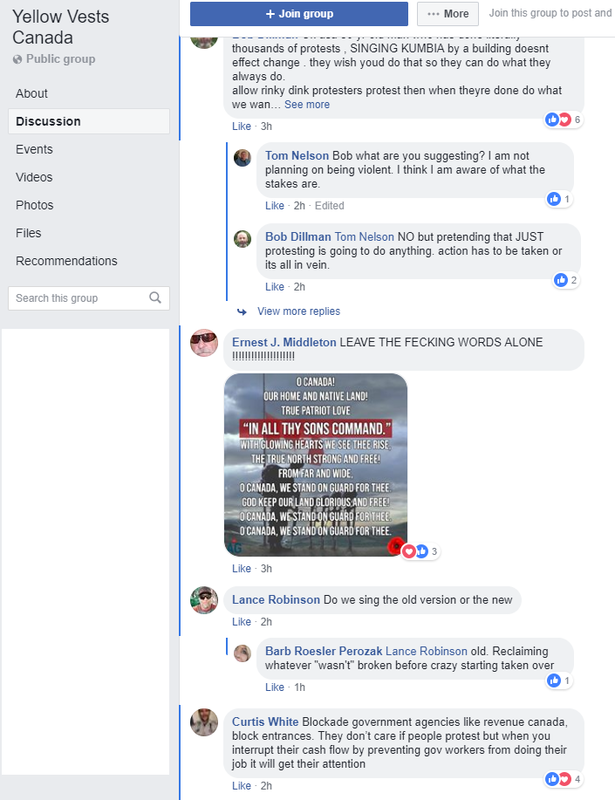 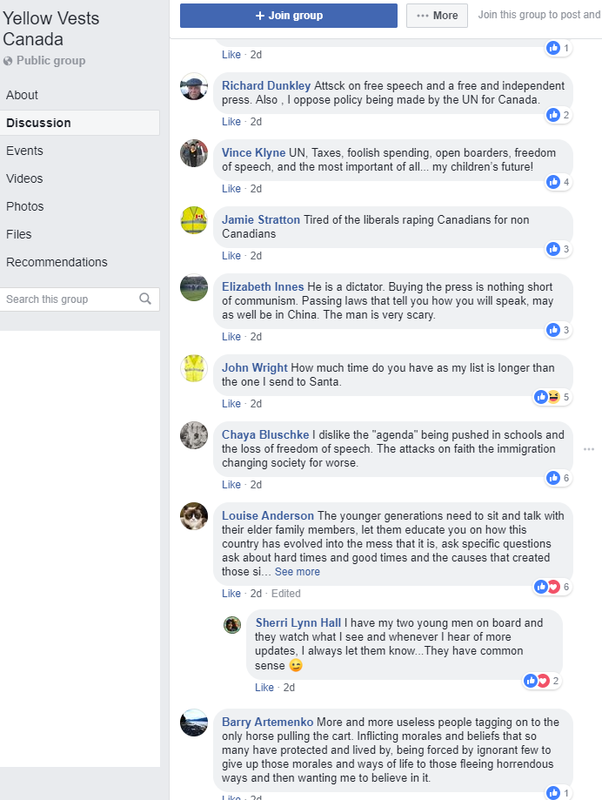 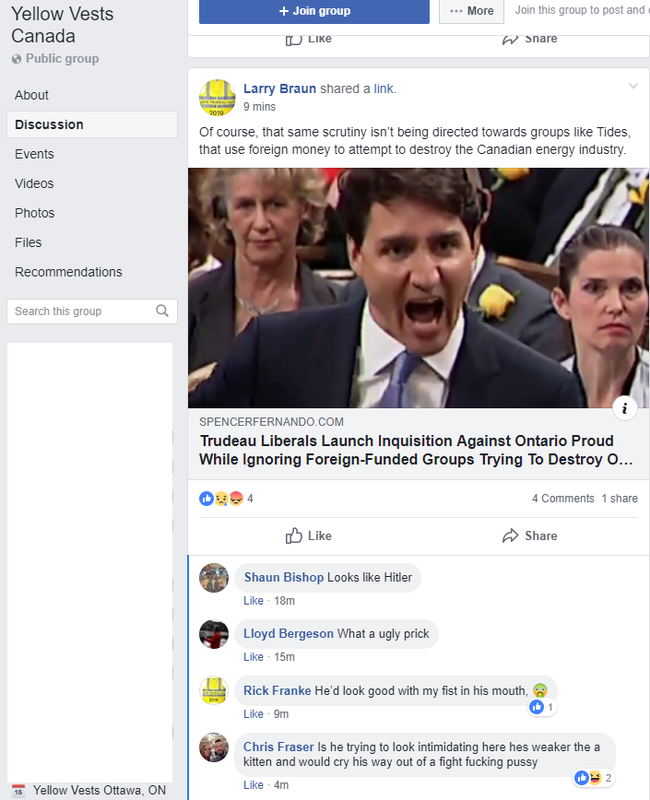 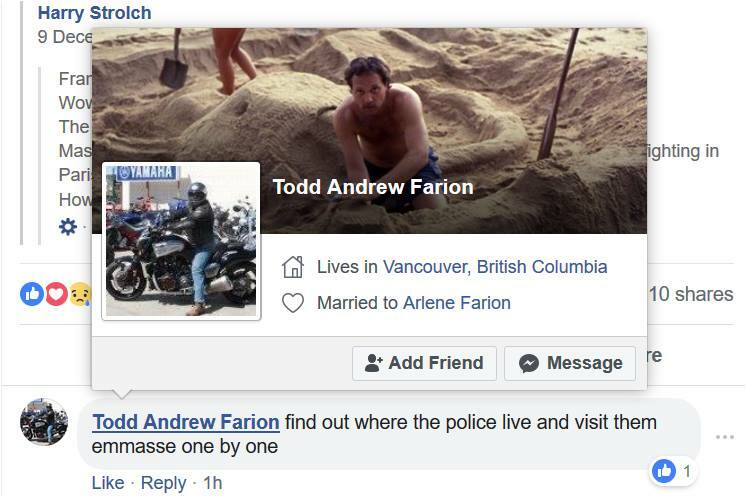 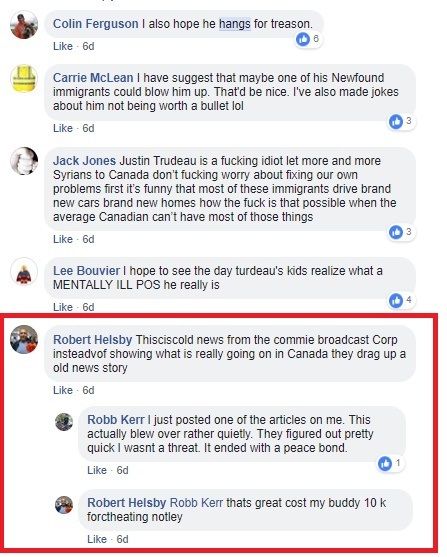 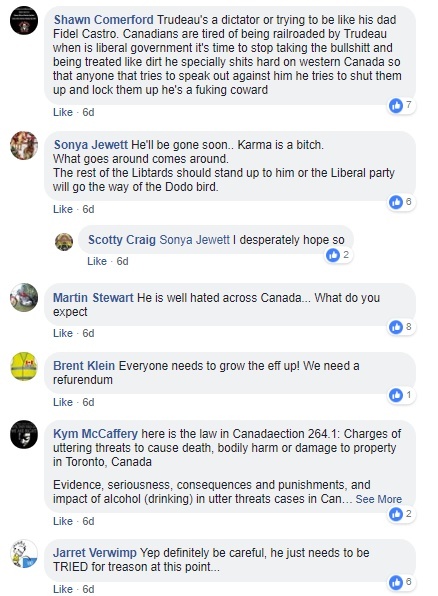 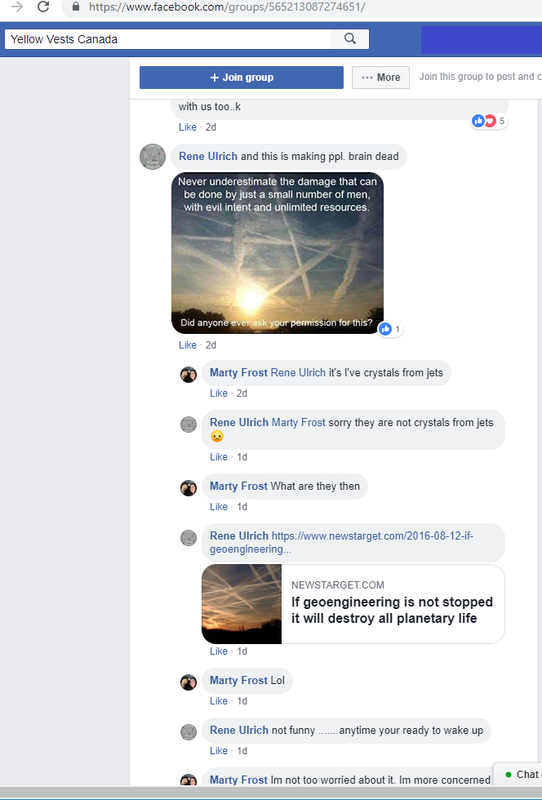 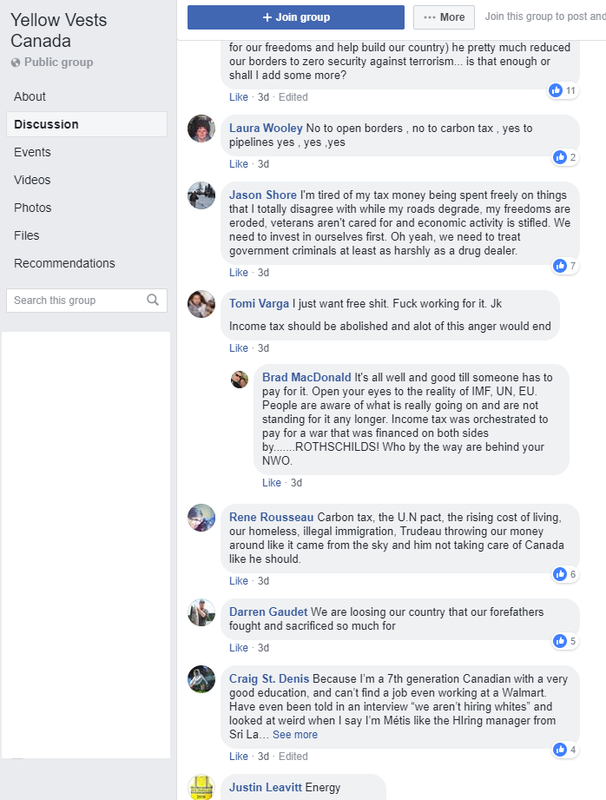 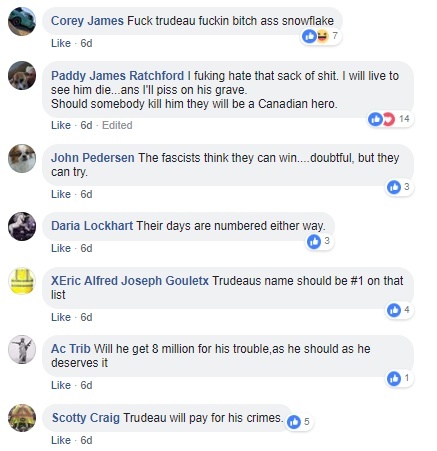 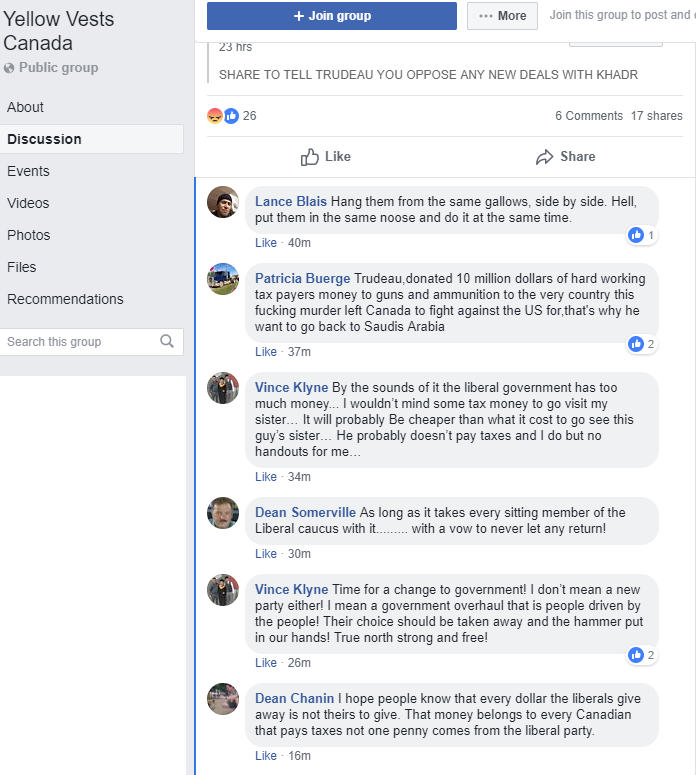 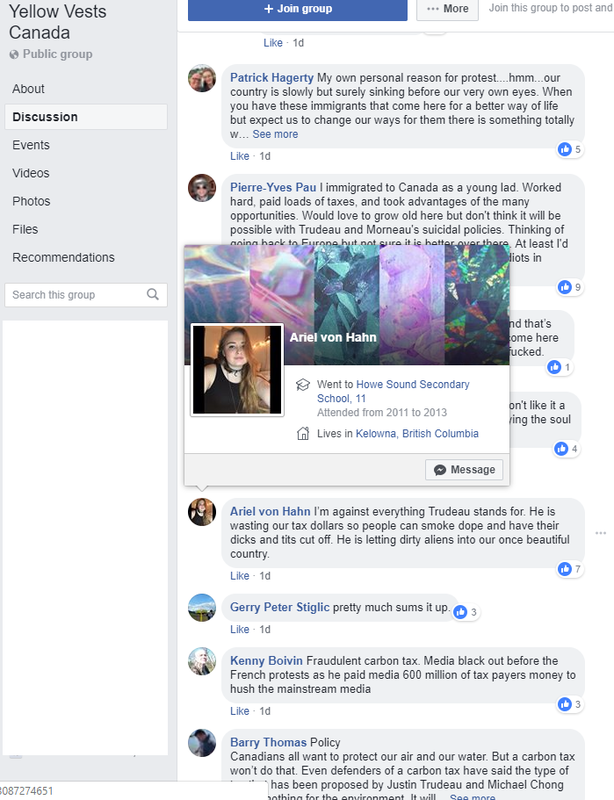 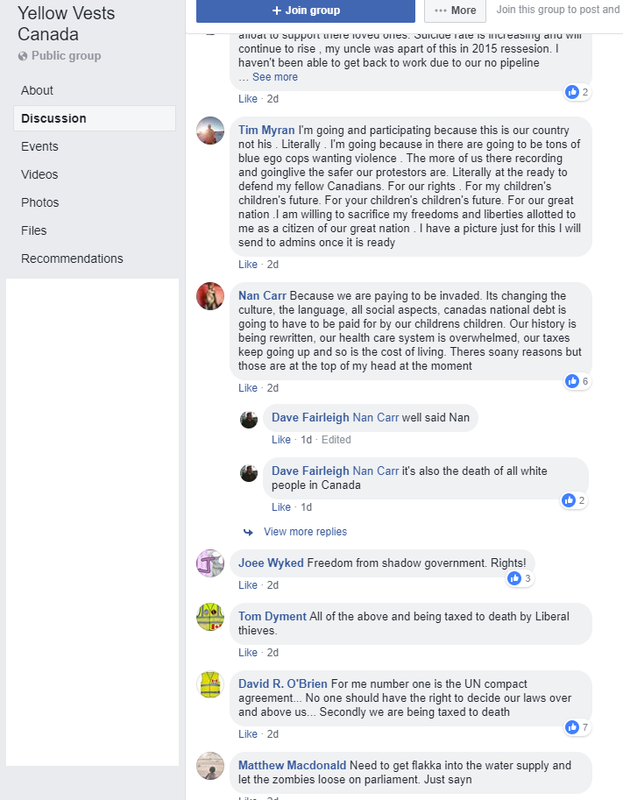 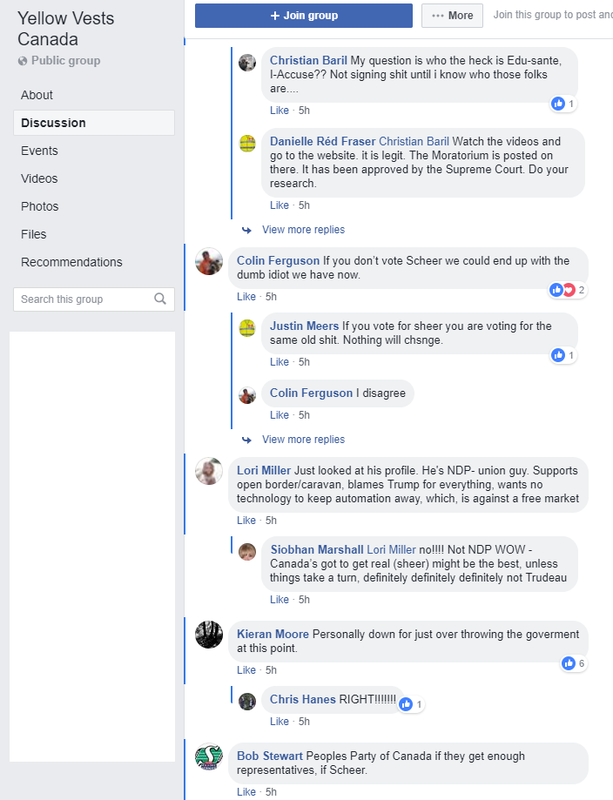 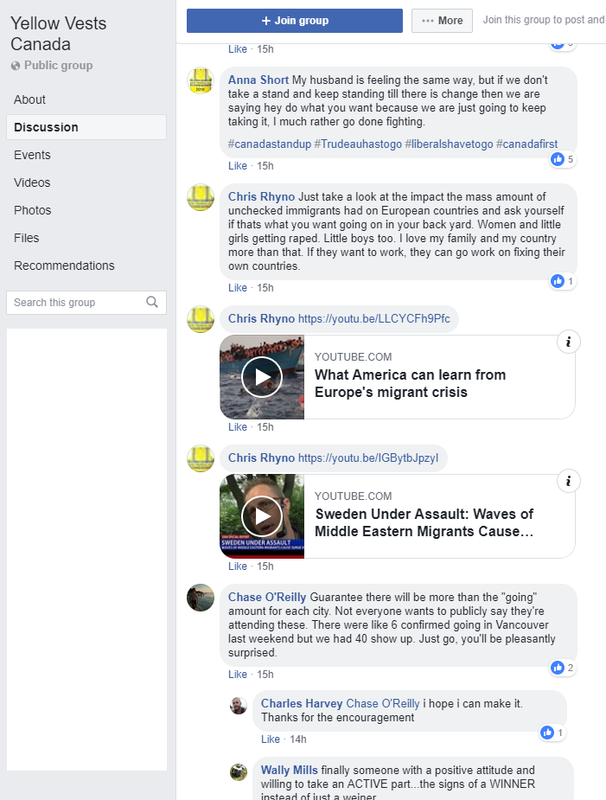 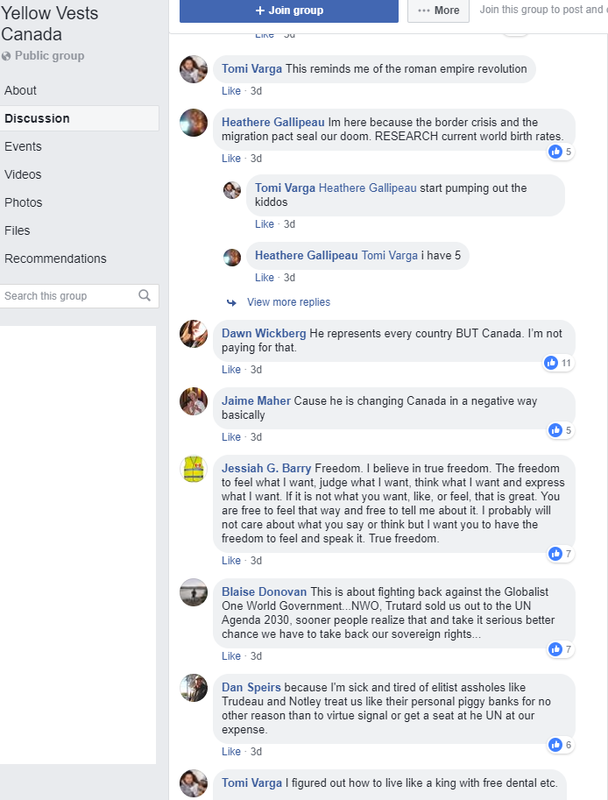 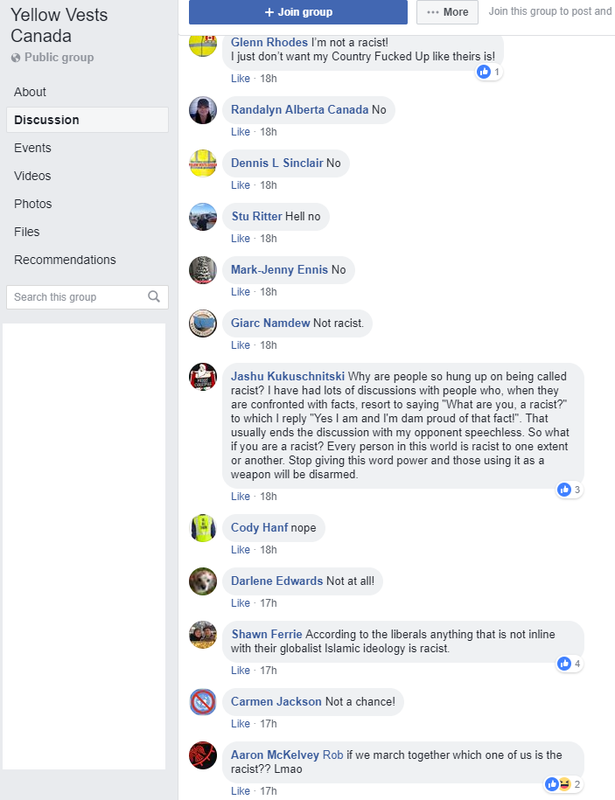 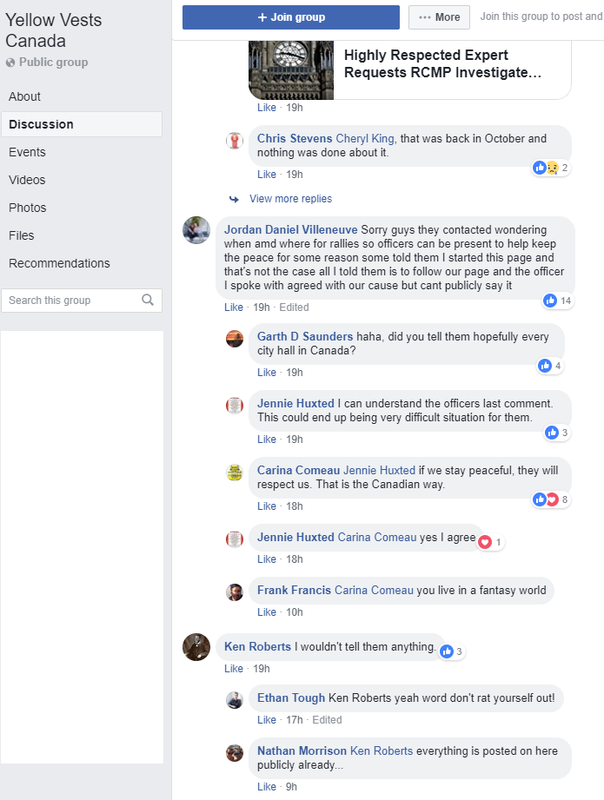 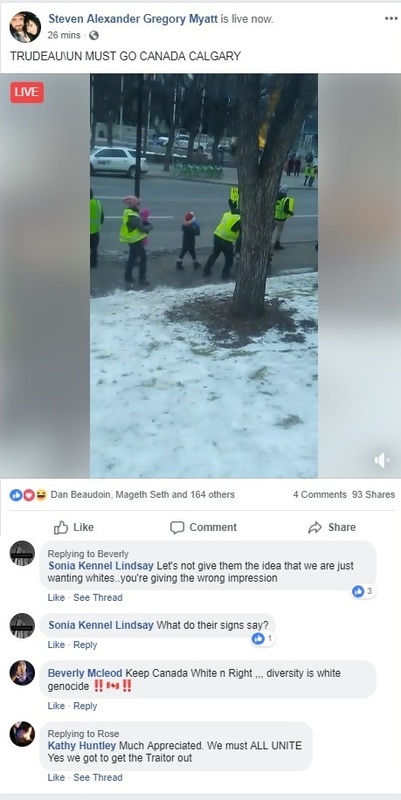 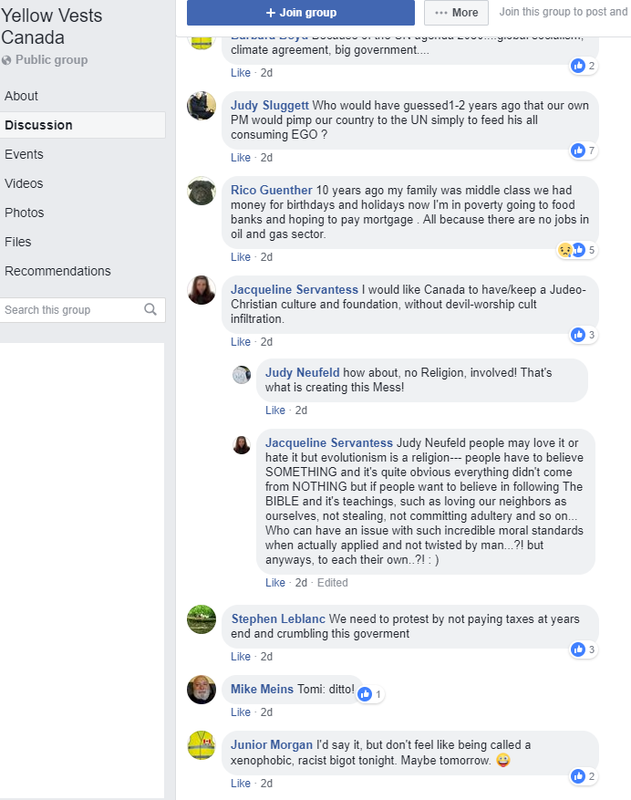 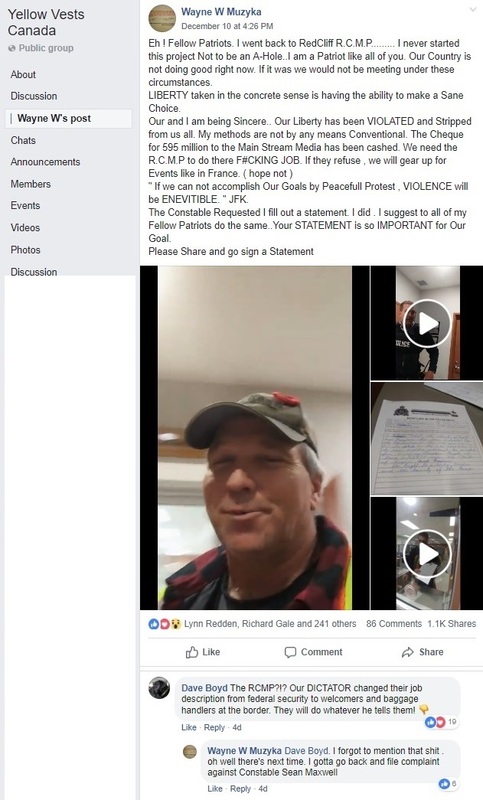 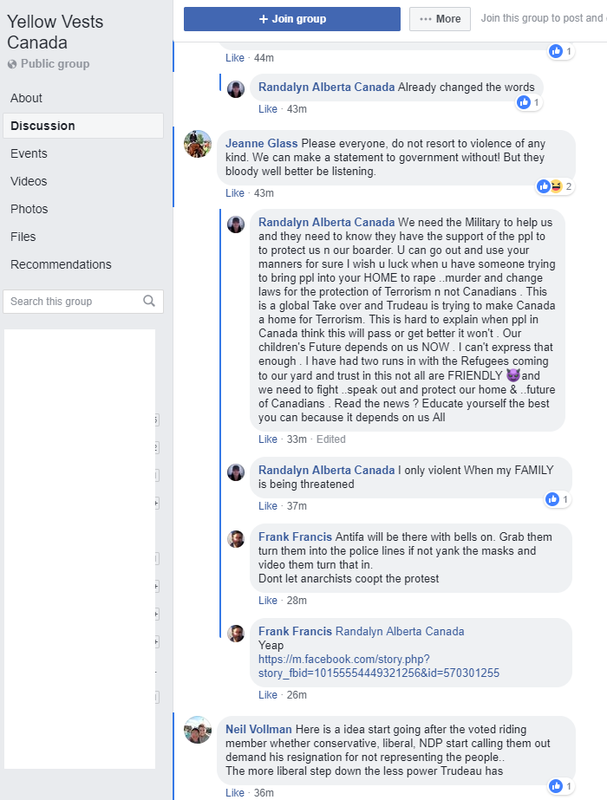 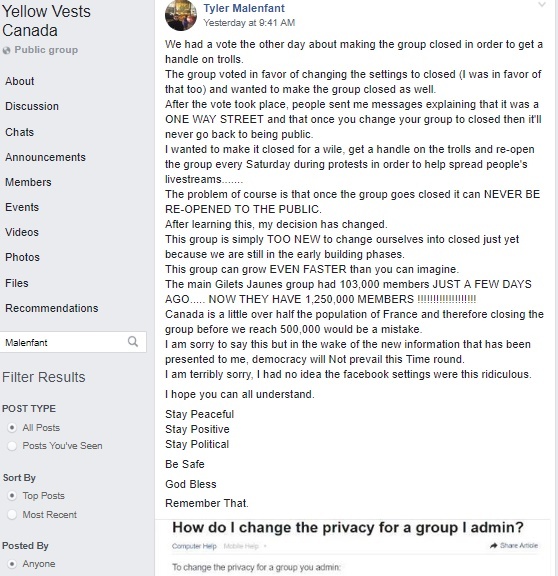 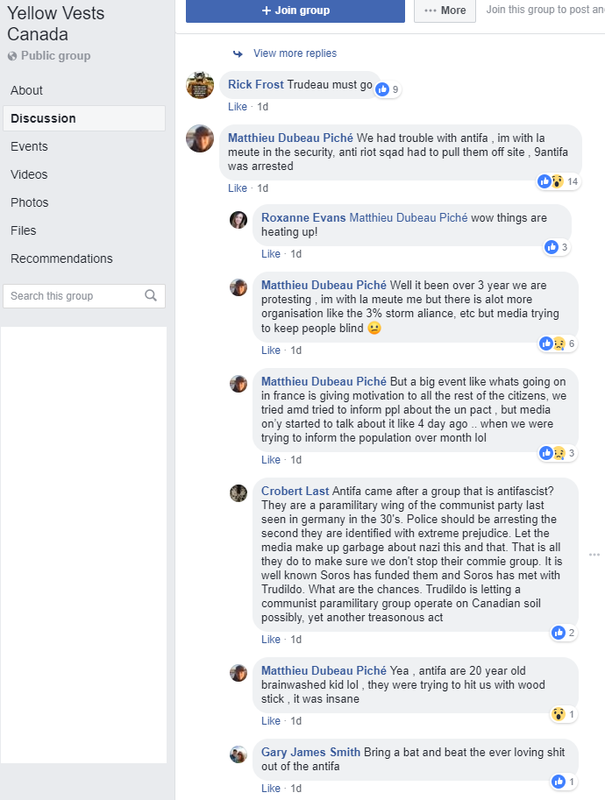 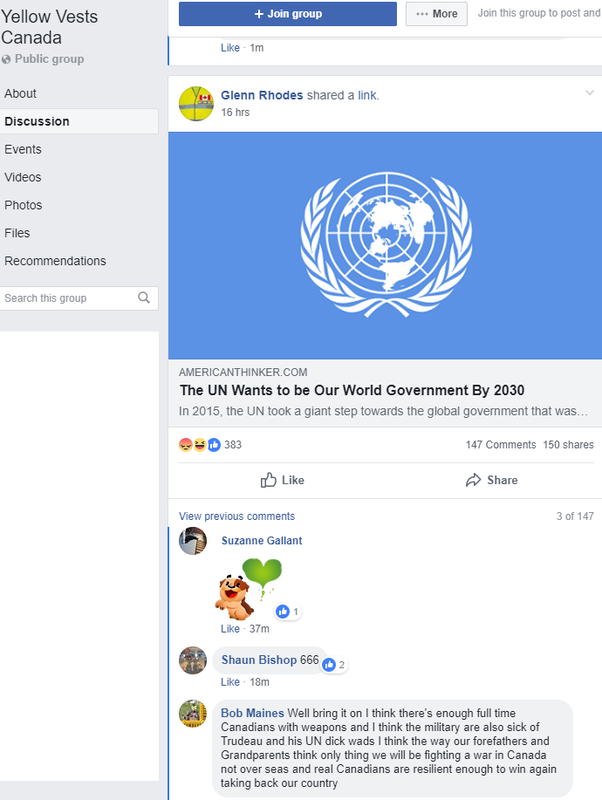 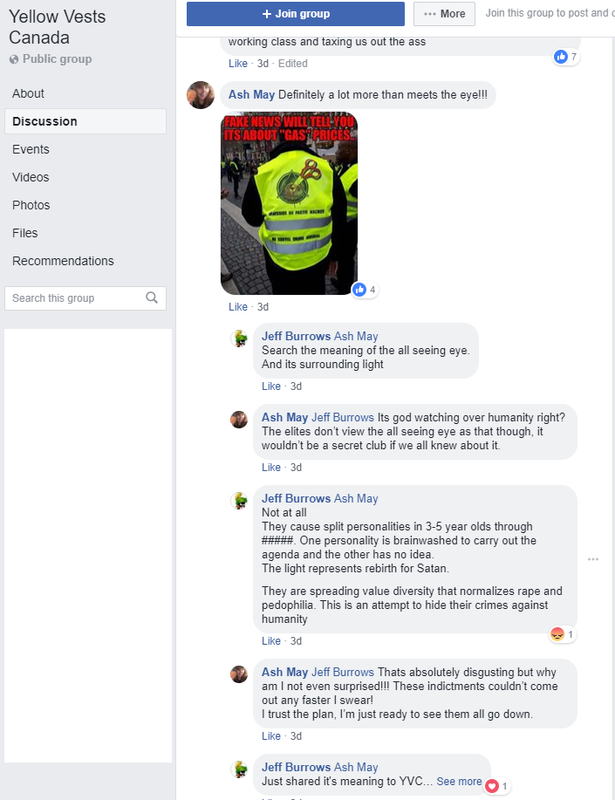 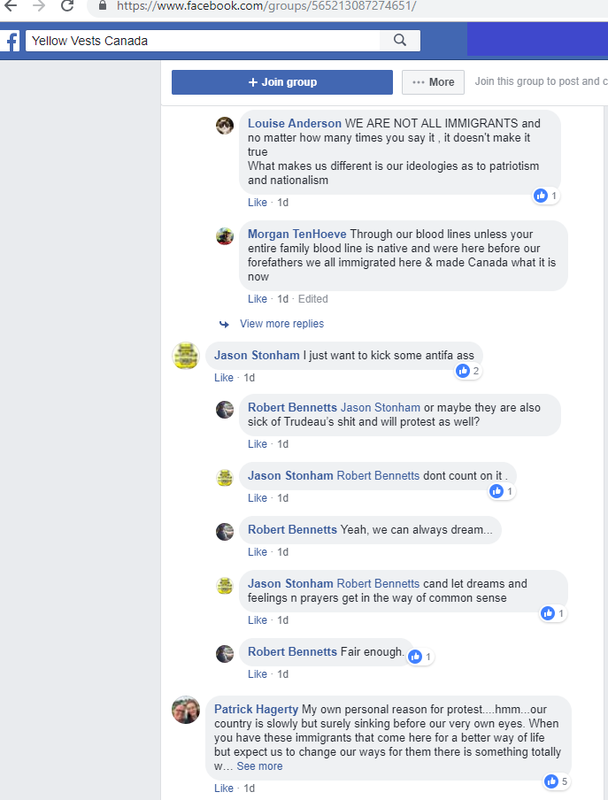 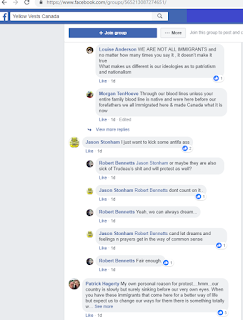 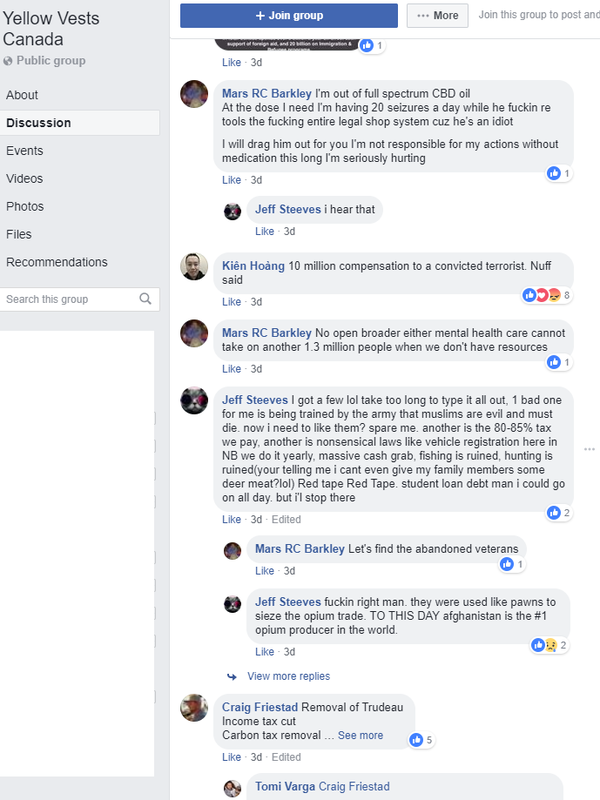 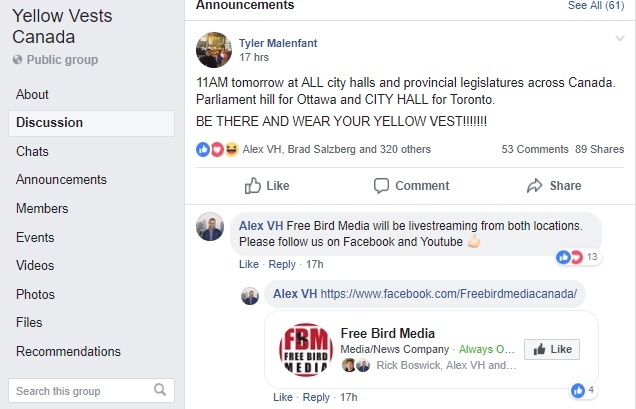 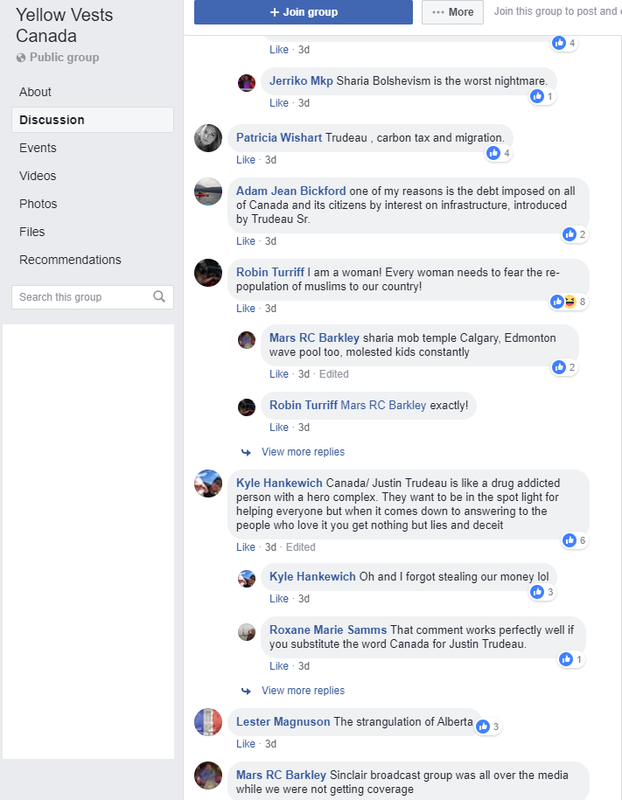 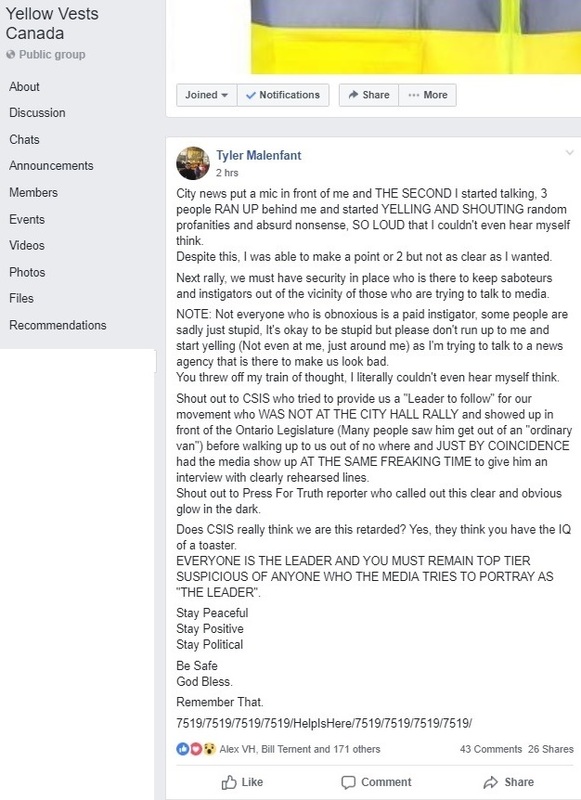 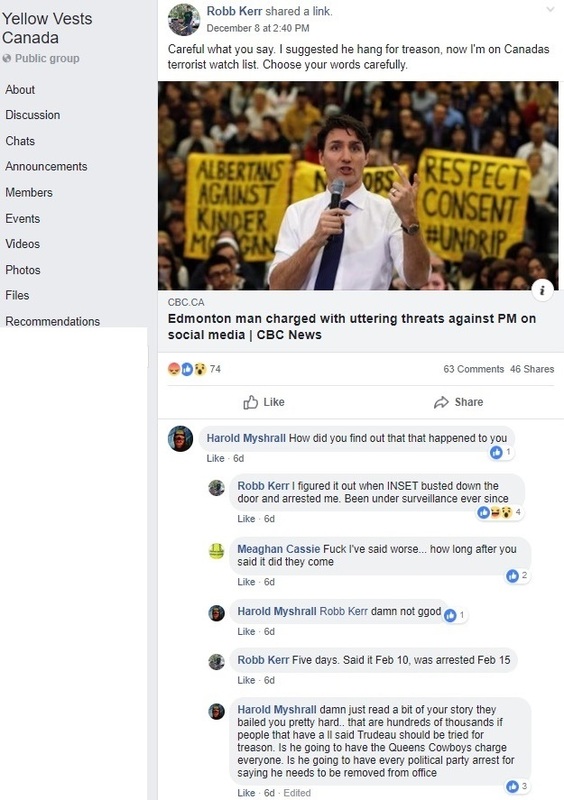 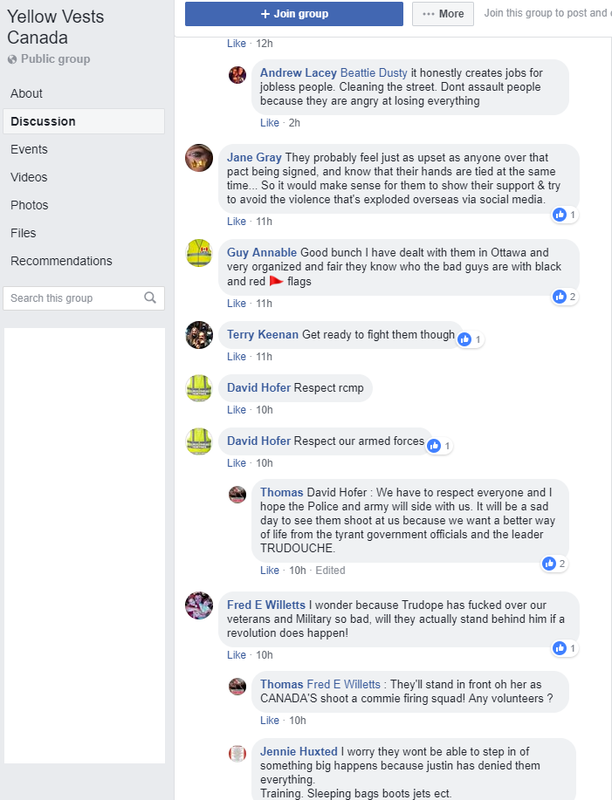 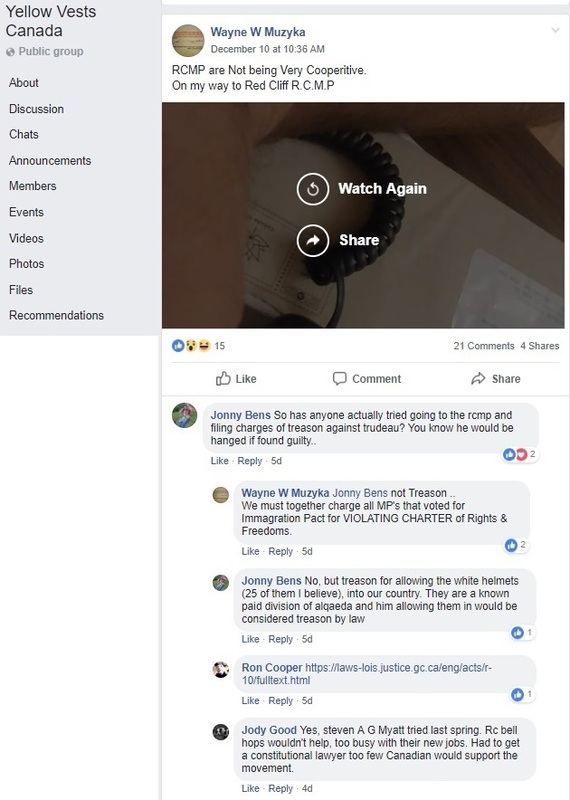 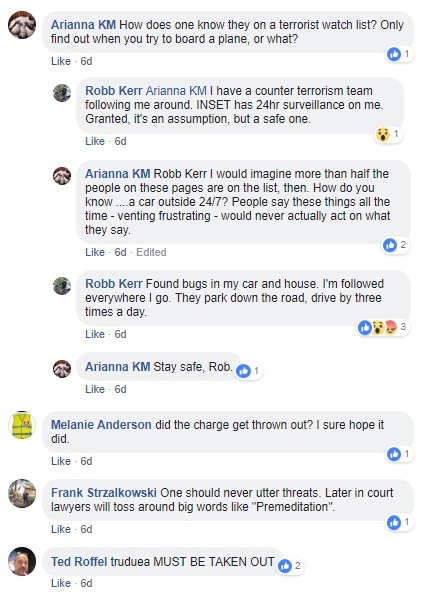 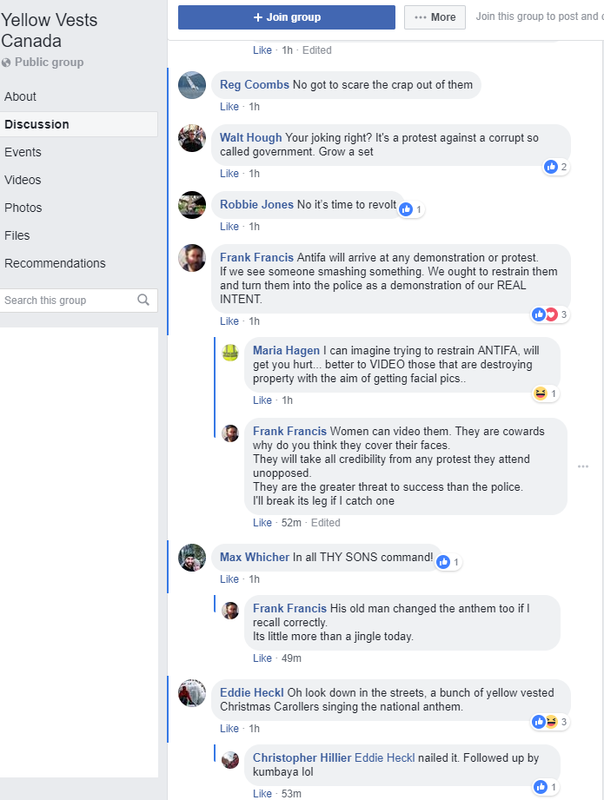 Malenfant claims the screen shots of his posts are fake, which suggests he expects people to believe that ARC posted fake screen shots in December 2015 knowing that in November 2018 massive protests would occur in France resulting in Canadian far-right supporters co-opting the imagery of said protests in December 2018 and that Malenfant would become an organizer in this astroturf movement... all in an effort to discredit him. 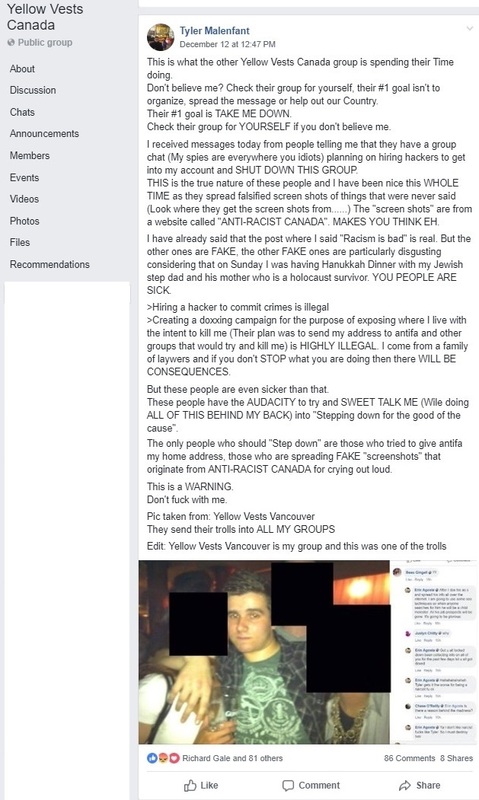 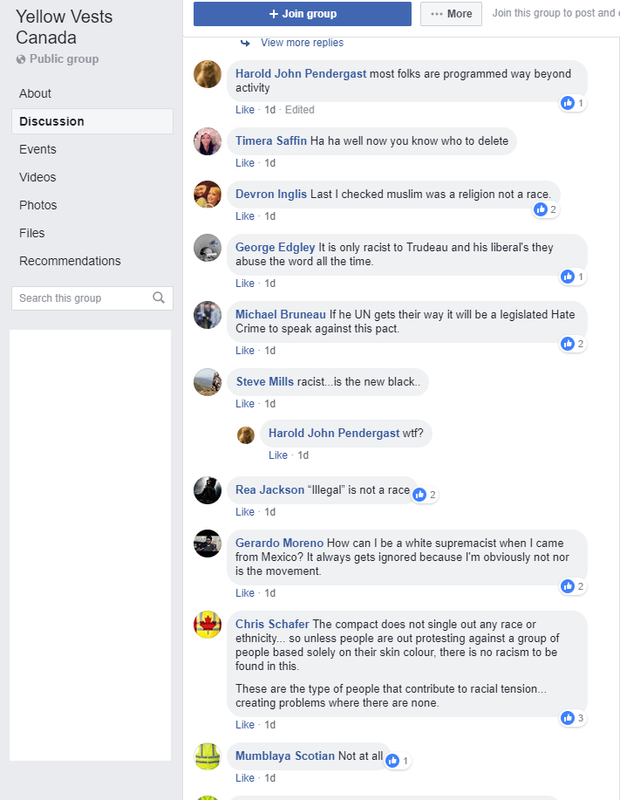 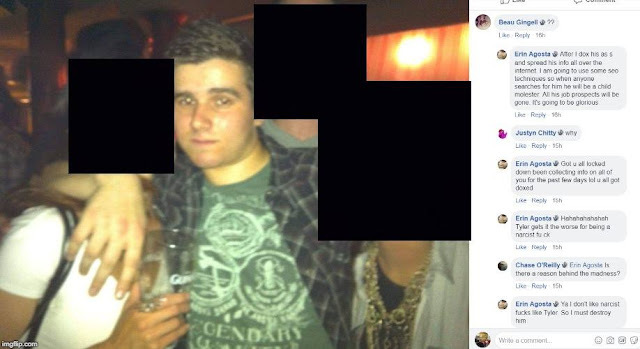 Sure or, and stay with me on this, might a simpler explanation be that Malenfant posted racist and antisemetic comments three years ago and now he's desperate to try and explain them away even though one can still see many of these posts online? 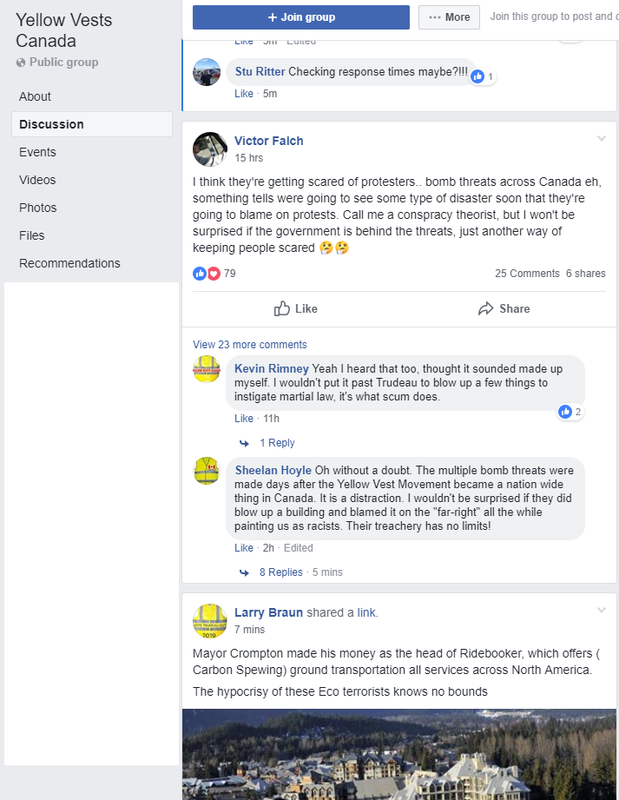 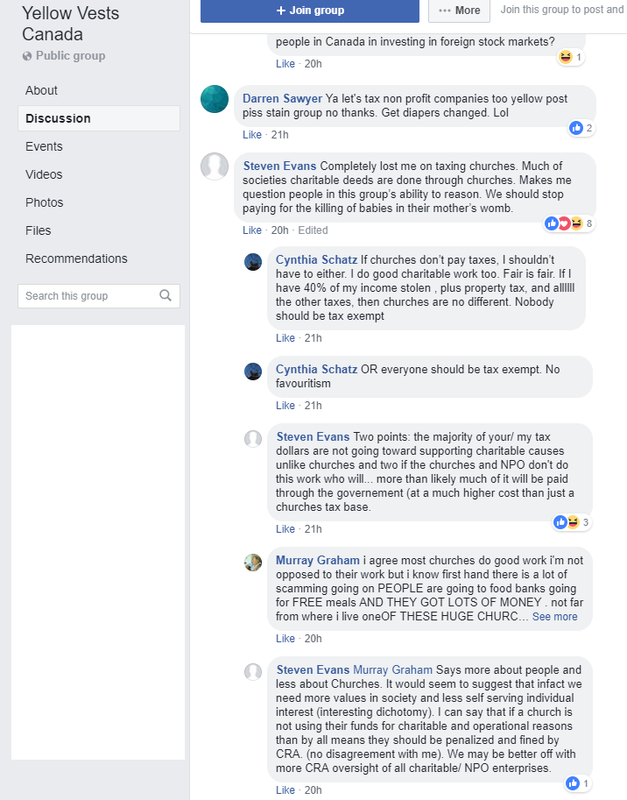 I don't doubt that pulling the "my taxes pay your salary so do everything I tell you" line will endear him to the police.... and it is insulting to his intelligence to ask if he could look up the information he requested online??? 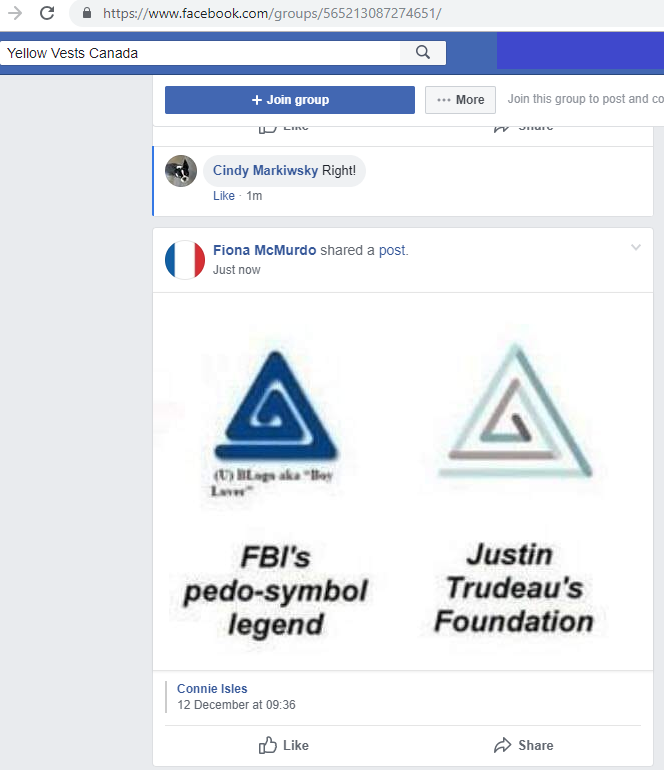 I think I'll avoid including the QAnon posts for now since their inclusion would take forever to upload. 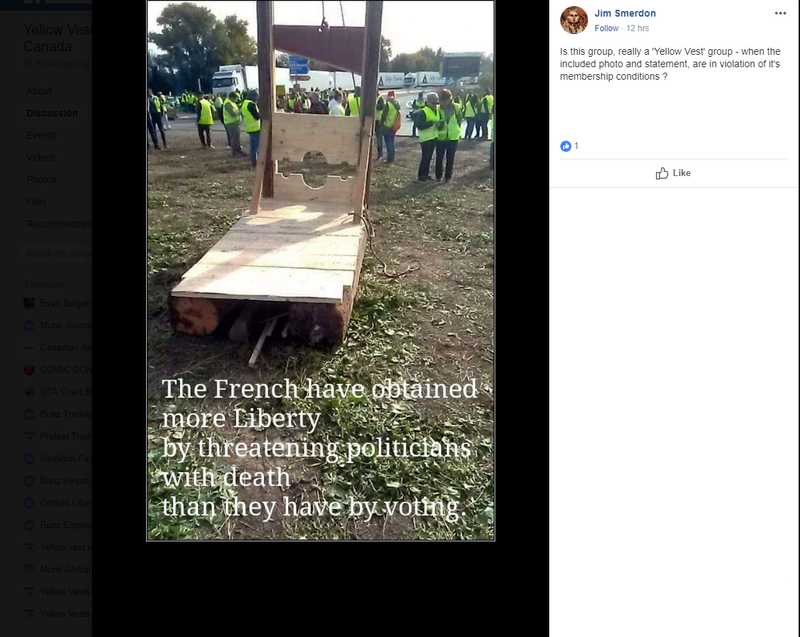 This latest fad (and it really is a fad) on the reactionary right is burning pretty hot right now, but I have a difficult time seeing it lasting more than a few months since it appears in the early stages of self-immolation already and unless it continues to be stoked it's hard to see how they can continue to maintain their anger in light of the fact that Canada has already signed onto the UN migration compact and, like M103 which was for a time the Islamophobic boogeyman of note, will do nothing to change their lives in any way. 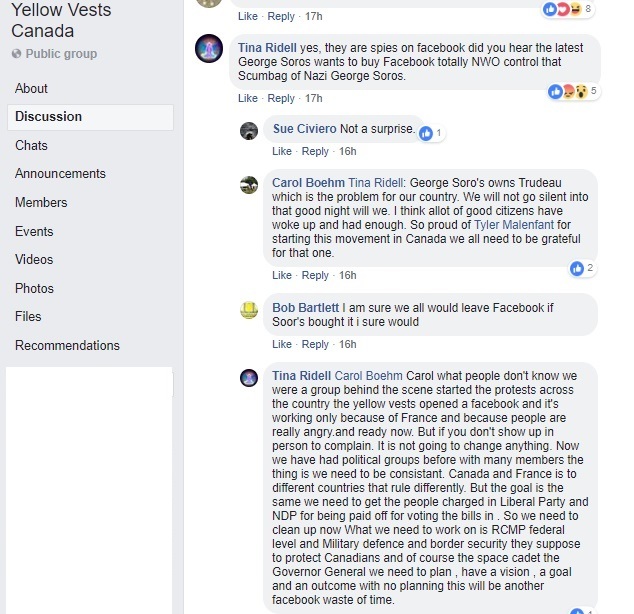 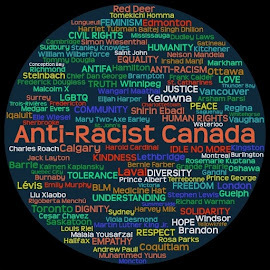 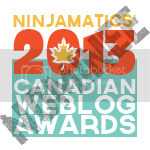 Of course I accept that I may be wrong as well, but thus far the long-term health of Yellow Jackets Canada doesn't look especially promising.